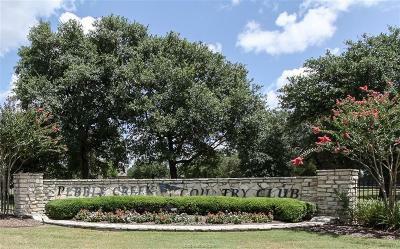 95' wide lot in prestigious Pebble Creek Subdivision! Close to Pebble Creek Country Club and Pebble Creek Elementary school. Minutes from restaurants, H-E-B, Lowes/retail shopping areas and hospitals. Lot is owned by Trident Homes. They will be happy to build your dream home on it.